Factom is a decentralized way to collect, package, and secure data in the Bitcoin blockchain. It addresses the challenges of speeds, cost, and bloat in the Bitcoin blockchain with its own protocol built on top of Bitcoin’s blockchain technology. Factom’s network makes it easier and cheaper for businesses to store data on the blockchain. All of the world’s wealth is stored in records. Financial records secure our money and investment. Real estate records secure our land and homes. Citizenship records secure our taxes, our credit records, and our identities. These records, however, are owned by centralized databases which aren’t secure or private, as demonstrated by numerous attacks and hacks of huge entities such as Ebay and Target. 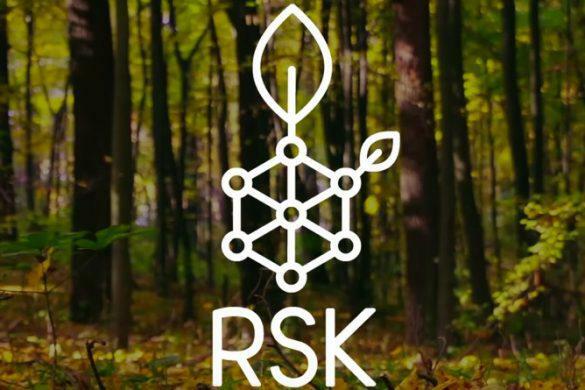 The decentralized, secure and private system of the blockchain now makes it possible to permanently secure the world’s data. Unfortunately, the blockchain is limited to 10-minute block times with 1- megabyte limits, which means that it can’t handle all the records we want to store on it. When you record something on the Factom platform, the record becomes forever immutable and can’t be erased. That means it’s like a verifiable record for keeping old records safe. “We started Factom to build a more honest and transparent world using a pretty simple approach: create software that makes it impossible to change the past and point that software at places where it solves valuable business problems,” said Factom’s co-founder and current President Peter Kirby to the International Business Times. 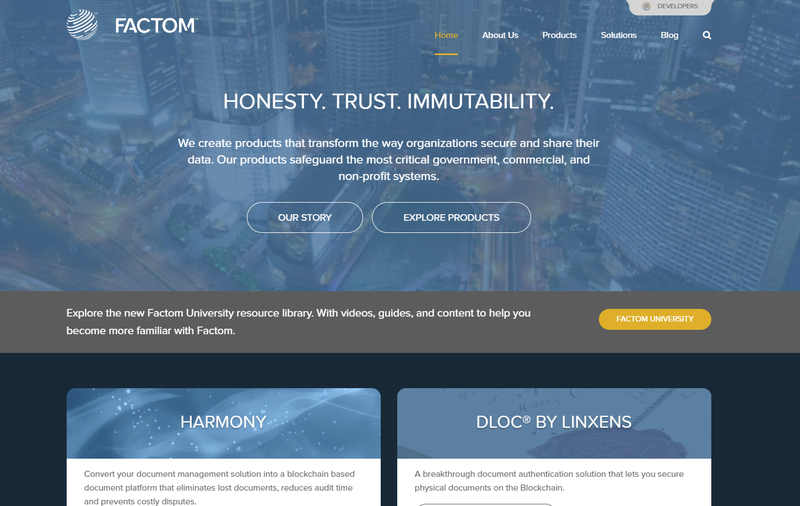 Factom is an open-source public utility for anyone to publish data secure to the blockchain. It is supported and maintained by the Factom Foundation, a United Kingdom nonprofit. Paul Snow, current CEO of Factom, is also the chief architect and co-founder of Factom. Previously, he was the organizer of Texas’ Bitcoin Conference. The team is headquartered in Austin, Texas and operates from Shanghai, Beijing, Honduras, London and Sunnyvale, California. 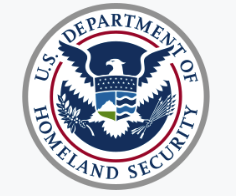 Factom currently works with the Department of Homeland Security to produce audit trails for data collected at the US border. The Gates Foundation has partnered with them as well in building a prototype for storing medical records for individuals living in remote developing areas of the world. Factom has also partnered with FTP Software, an IT services company based in Vietnam to develop a blockchain-based system that creates audit records. Since its inception, Factom cryptocurrency has increased steadily. Factom’s ICO was in March of 2015. At that time, 8,759,968 Factoids were created. The coin rose to $33.72 in July and then again to $78.37 by January. Factom operates on hash technology. A hash is a cryptographic one-way function which transforms digital artifacts (like documents, videos or audios) into an alphanumeric string which cannot be altered. With Factom, hashes are created through an API, transformed into a single hash and then anchored to Bitcoin’s blockchain as an immutable time stamp. While Factom stores very little data on the blockchain, it places the data in its own structures that are shared and secured over a distributed hash table. In other words, Factom packages data so that it can be shared on a P2P network. Proof of Existence – Hashes are created from digital artifacts and transformed into a single hash. This hash is anchored to Bitcoin’s blockchain with a time stamp. 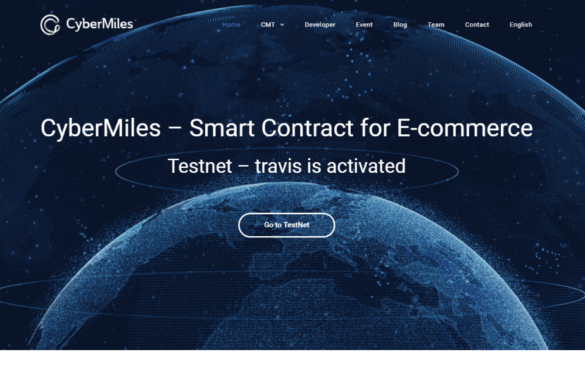 Proof of Process – Validation and recording of all entries on the blockchain. This also prevents double spending of money. Proof of Audit – The ability to produce the record anytime for audit from Bitcoin’s network. Factom collects, packages and secures data in the Bitcoin blockchain with a network of Federated servers. These servers take turns being responsible for different aspects of the system. No single server is in complete control of the whole system, but only part of the system. Responsibility for each part of Factom cycles among the servers each minute. Factom’s technology has real-world applications in documents such as land grants medical records, and financial audits, of which all must be accurate and verifiable. 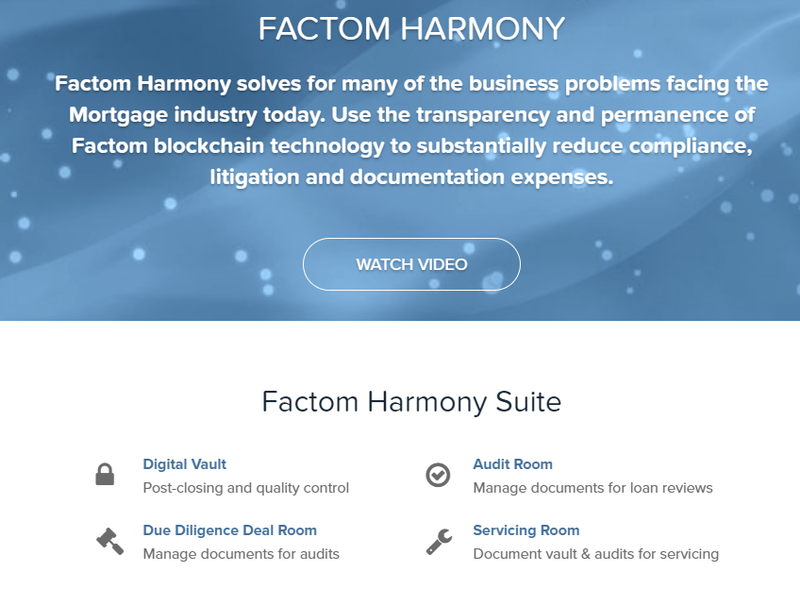 One of their products, Factom Harmony, is already used by the mortgage industry. Factom’s P2P network has two goals: communication and data preservation. The network is very similar to Bitcoin’s, with full nodes and federated servers. The Factom Network is made up of entries into the system, collected by federated nodes and protected against change using the Bitcoin hashpower. Applications have their own distinct Factom chains, which allows them an unlimited number of entries into the system. Applications can therefore only read their own chains of data. These data entries are organized into blocks, which are then used to compute a single hash every 10 minutes. Hashes are anchored into blockchains for extra security, allowing faster transactions at a lower cost and with greater scalability in contrast to other blockchains. Factom is architected so that users do not need any cryptocurrency to use the platform. Instead, it is powered by two separate tokens on its network: Factoids and Entry Credits. Factoids operate in their own chain in Factor and can be freely traded just as any other cryptocurrency. The total Factoids supply is 8,753,219. The token incentivizes servers, who receive Factoids as a reward for maintaining the network. Factoids are released at a rate of 73,000 per month regardless of their market price. After the Factom protocol is running, they will be issued at a fixed rate to the servers that run the protocol. Until that happens, however, no new Factoids will be issued. Entry credits can only be used to pay for Entries (adding data to the protocol) or to vote for Federated servers. They have no intrinsic value; however, they are needed to add data to the Factom blockchain. Since they are non-transferable as a currency, they have a much lower chance of being targeted by hackers. Factoids can be used to purchase Entry Credits. When you spend an Entry Credit, the Factoids you used to purchase it are burned or removed from the system. 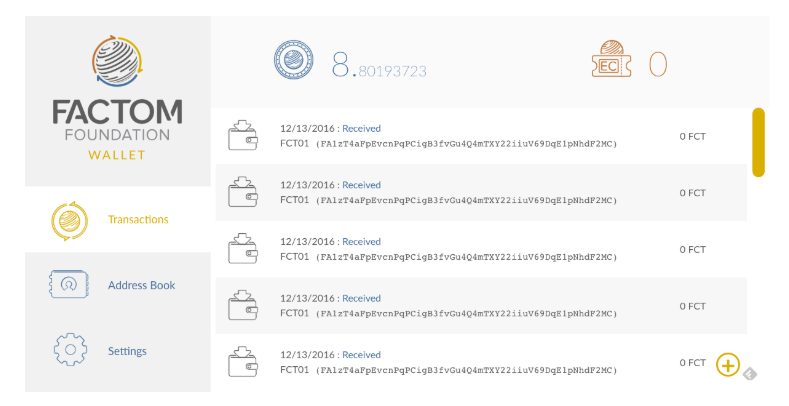 Entries on the Factom network for a Chain which records the order of the Entries, leaving an audit trail. In other words, think of the chains like folders, and Entries are like the files you put into folders. Poloniex is the main option for purchasing FCT. 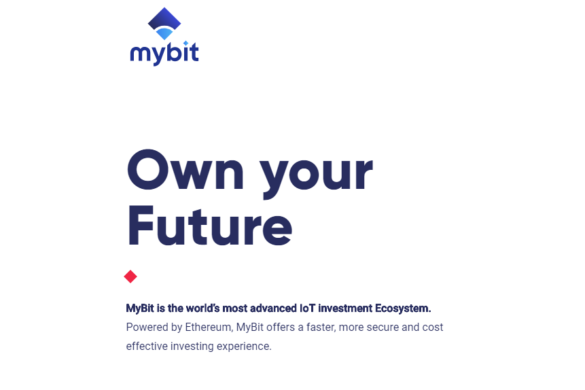 It is available for purchasing with BTC. It is also the exchange where it has the highest volume of trading. FCT can be stored in the Enterprise wallet, which can be accessed from the Factom website. The Enterpise wallet can be used for Mac, Windows and Linux computers. You can choose from a Secure (encrypted) or Not Secure Wallet (unencrypted). We strongly recommend, however, that you backup your enterprise wallet in a secure location. Factom launched its fully decentralized protocol in April. In Q4, it updated its Enterprise Wallet to include encryption. 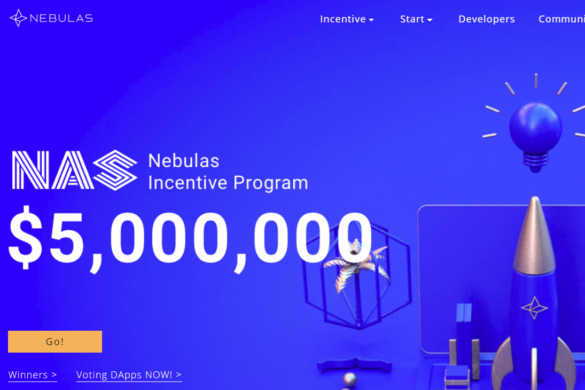 The community is ready to achieve Milestone 3 (M3), which will move the platform as close to full decentralization as possible. The Factoid community has also decided to appoint 65 nodes/servers (divided into Federated Nodes, Authentication Nodes, and Follower Nodes) to manage the functions of the platform.